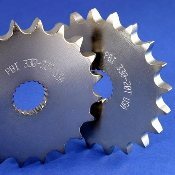 Our Products >> Sprockets Kart Engine. >> 215- Yamaha YZ-85R 2002-2019. 428 Chain. 215- Yamaha YZ-85R 2002-2019. 428 Chain. 215- Yamaha YZ-85R 2002-2019. 428 Chain. Available in 12 through 21 teeth.